Susan: What made you realize you wanted to be a writer? Do you have any advice for aspiring writers? Katherine: In the sixth grade, I wrote a story about vampire bats attacking a scientist. That year I won my first English prize, the first of many, and writing became “my thing.” I followed a family pattern. My mother did quite a lot of writing, and my brother Sidney (see http://en.wikipedia.org/wiki/Sidney_D._Kirkpatrick), sister, cousin, and grandfather chose careers in writing and/or publishing. My advice to aspiring writers is to take all assignments, paid and unpaid. Contribute to your school’s alumni magazine and local newspaper. Think about what organizations you belong to. Blog. Write a heartfelt reminiscence when your favorite teacher retires. Volunteer your talents, make people laugh, feel appreciated, hone your skills. I’m so proud of the biography of my father I self-published, The Dale Kirkpatrick Story (http://www.lulu.com/spotlight/allegra1943). 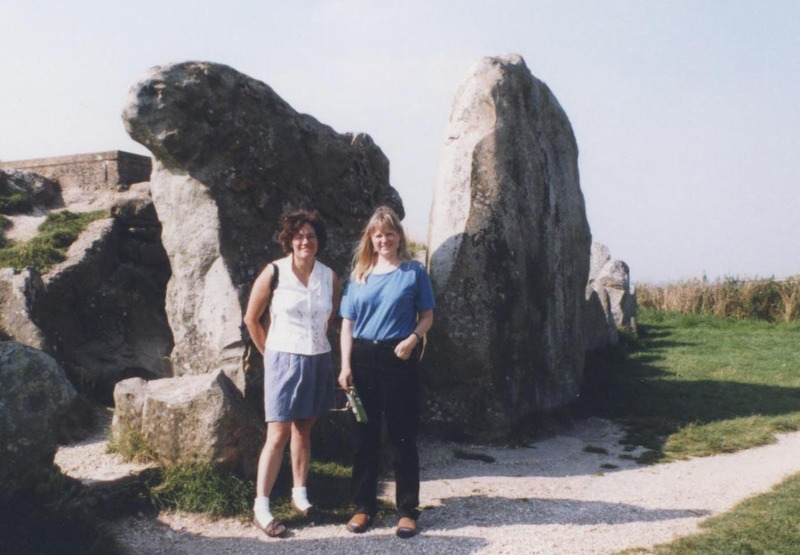 Susan: Why did you choose to write historical fiction for young adults? 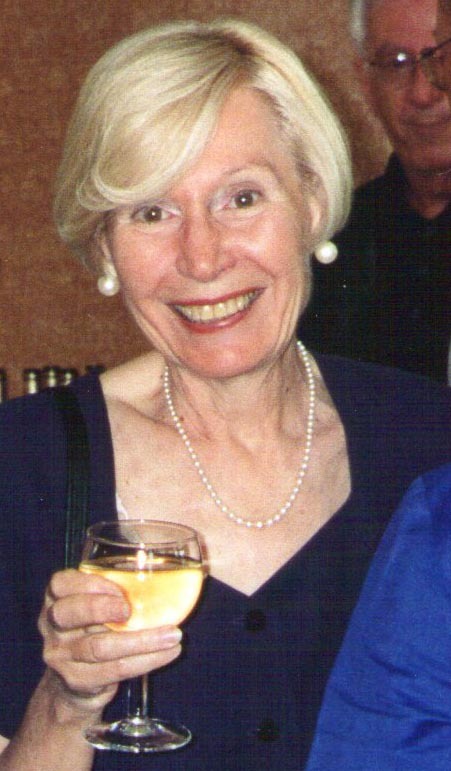 Katherine: My mother loved history and partly for that reason my parents chose to settle in a community rich in colonial and maritime lore, the Three Villages (Stony Brook, Setauket, Old Field), Long Island, New York. My family liked to tour historic houses and visit old cemeteries and our local carriage museum http://longislandmuseum.org/, which has a jauntily painted American gypsy wagon, circa 1870, that always captured my imagination. Once I took a children’s writing class held in the museum’s 18th-century one-room schoolhouse. 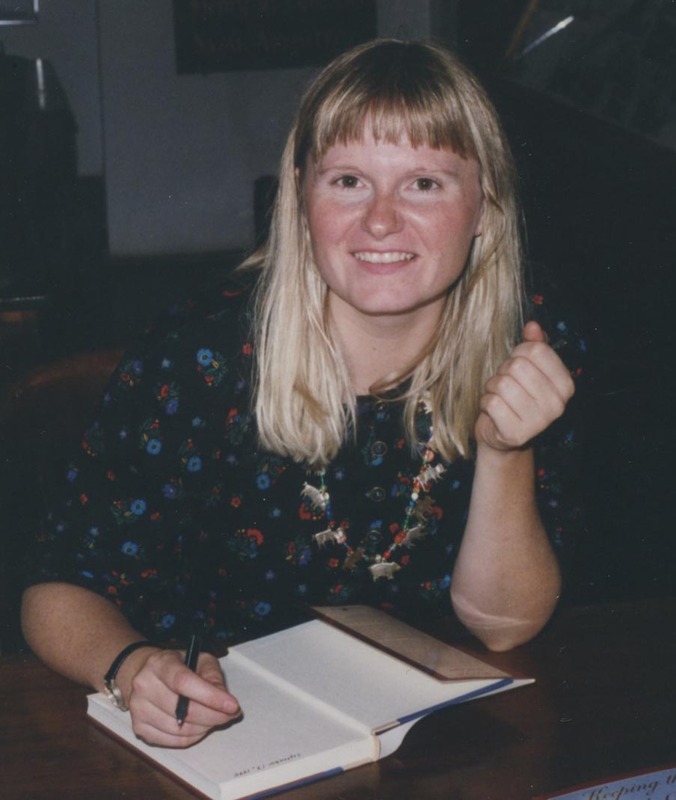 When I started to write novels, I found myself drawn to the coming-of-age themes of independence, discovery, maturity, and relationships in young adult fiction. Susan: Where did you get the idea that sparked Between Two Worlds? Katherine: In the Hall of Meteorites at the American Museum of Natural History in New York, I noticed a photo of four-year-old Marie Peary, the daughter of Arctic explorer Robert E. Peary, onboard a ship with a gigantic meteorite. After researching Marie’s life, I started a novel. I showed it to editor Mary Cash at Holiday House, along with stunning photographs of Marie in Arctic Greenland. With the photos in mind, Mary encouraged me to write a nonfiction book, The Snow Baby, http://www.katherinekirkpatrick.com/book_01.html, published in 2007. Years later I returned to the novel. It took on new life when I decided to switch perspectives, telling the story from Billy Bah’s, an Inuk girl’s, point of view. Susan: I really enjoyed reading The Snow Baby! Can you tell us a little bit about your work writing both fiction and nonfiction, and how one approach may inform the other? Katherine: I’d published four novels before I wrote The Snow Baby, so I brought to that photo essay/biography the novelist’s ability to think in terms of drama and scenes. After eight years of publishing nonfiction books, I returned to fiction with Between Two Worlds. Because I’d already researched Arctic Greenland, I focused on plot and character development without thinking so much about getting the history right. It’s been my tendency, like globbing on too much icing on a cake, to pile on historical details. This time around I started with the cake itself and with better results; Between Two Worlds has received excellent reviews. Susan: Between Two Worlds is based on a true story. What’s real and what’s made up? Katherine: About 80 percent of the book is based on historical events. Sixteen-year-old Billy Bah joined the Peary family on his ship Windward, which became locked in ice for eight months in 1900-1901. Just about everything but the triangle love story and conversations with the ancestor-ghosts is historically based. Susan: Tell us about the real Billy Bah. 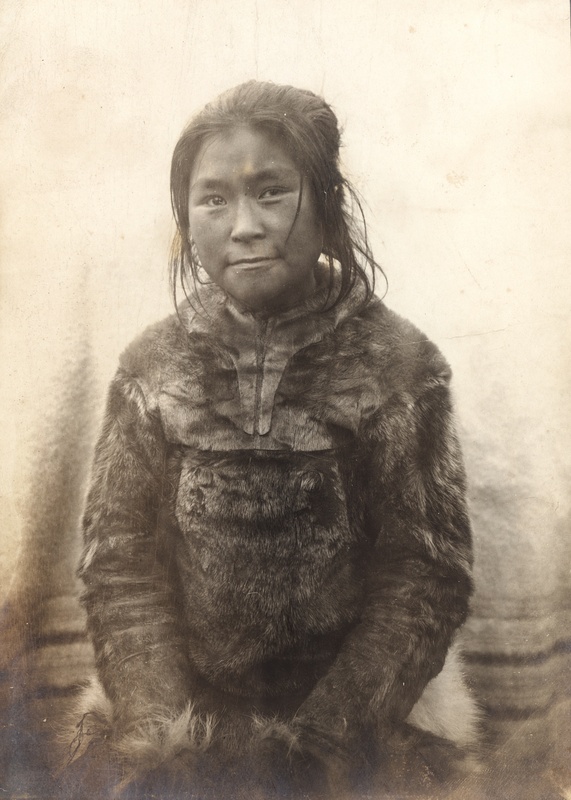 Katherine: Billy Bah, also known by her Inuk name, Eqariusaq, was born around 1884 in a remote coastal area of Arctic Greenland. When she was about eleven, she spent a year in Washington, D.C. with Peary’s family. She was both orphaned and married around age fourteen. Peary referred to her as his most expert seamstress. She sewed the fur coat that explorer Matthew Henson wore during the famed Peary expedition of 1909 to the North Pole. 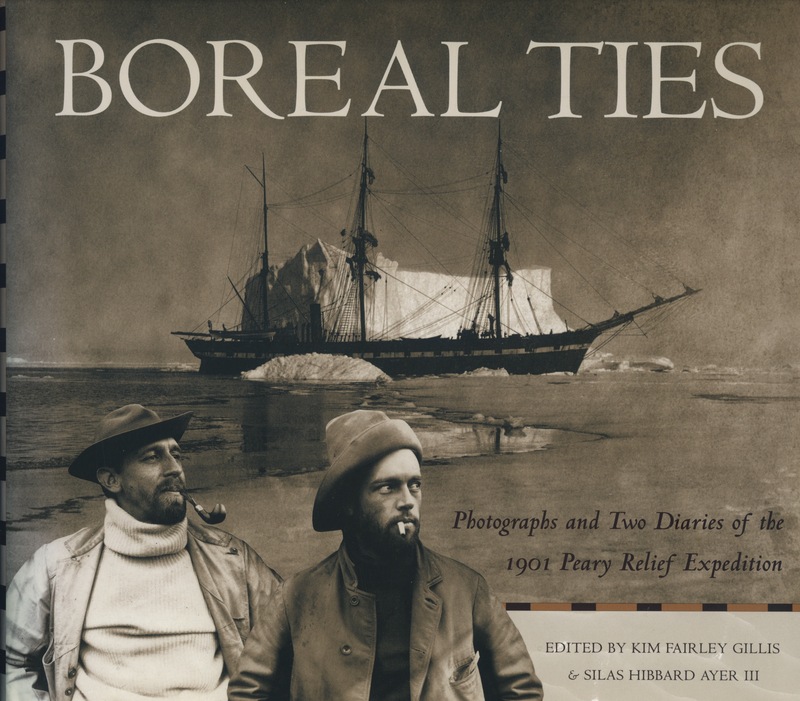 Susan: The setting of 1901 Arctic Greenland plays a distinct and significant role in the novel. Also, you use a lot of Inuktun (Polar Eskimo) words in the book. Were these challenges for you, in terms of making Billy Bah’s story come alive for YA readers? 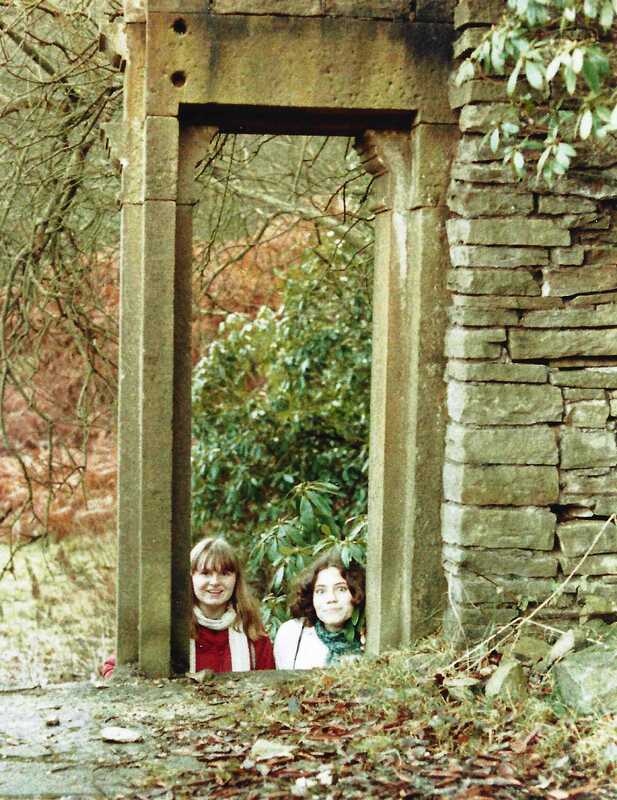 Katherine: The key to historical fiction is to put the past into the present, to bring out universal themes that a modern-day audience can relate to such as the desire to belong or the need for independence. No matter when, people have always shared many of the same core fears and desires. One common teenage dilemma is that at some point we must act under pressure and make difficult choices. The theme of romantic love is also powerful and universal. 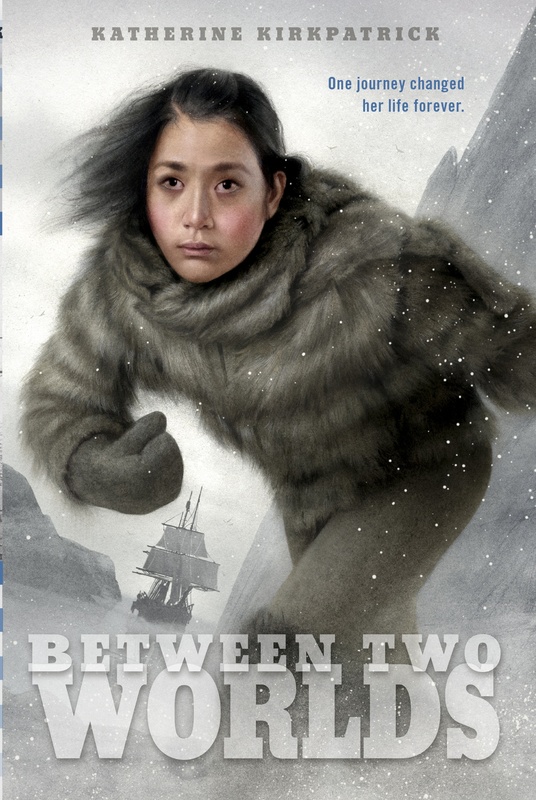 Billy Bah’s love affair with the sailor Duncan is the aspect of the book that I feel will most appeal to teen girl readers, fully drawing them into 1901 and the foreign world of Arctic Greenland. In earlier drafts, I used a lot of Inuktun words. My editor Wendy Lamb cut out most of them, smoothing out the prose, while skillfully leaving in hints of the native sounds. Wendy also had me tone down aspects of traditional Inuit life that modern readers might find off-putting. I deleted the gory chapter in which Billy Bah’s people slaughter walruses and downplayed the cultural norms of uncombed hair, unwashed bodies, head lice, and body lice. Over five rewrites, Billy Bah became more assertive, more mature, and less historically Inuit in terms of personal hygiene. Susan: What’s the most unusual thing you’ve had to Google for a work in progress? Katherine: I researched Inuit women washing their hair with urine. It would have put off readers, so I ended up not including that info. Again, sometimes we need to sacrifice a little accuracy for accessibility. Susan: We all struggle to maintain “balance” in our writing lives. Could you describe your typical writing day? Katherine: I block out about fifteen hours of morning time, Monday to Friday, for writing, and this time is for writing only. I’ll work in email or phone calls before or after, and in between my family-related commitments, such as taking my 90-year-old father-in-law to his medical appointments and my two middle-school-age children to their music lessons and other activities. I also try to squeeze in exercise time. I like to cook and we make a sit-down dinner a priority. Though I don’t write in the evenings or on weekends, I’ll sometimes do work-related reading or editing. Evenings I like to relax with my cat and play the harp. Susan: What are you working on now? Katherine: My novel in progress is set in England and Egypt in 1922-1923, during the opening of King Tut’s tomb. Two years ago, with my sister, brother-in-law, and niece, I visited the book’s Egyptian settings. We toured archaeological sites by small boat on the Nile and flew over the Valley of the Kings in a hot air balloon. This past April, during a family trip to England, I visited my novel’s main British setting, Highclere Castle in Berkshire, outside of London, for the second time. Highclere is now popular as the set for the hit British TV series “Downton Abbey.” I’ve been enjoying myself researching and writing, and I hope that spirit of fun and adventure will go into the book. Susan: What was it like to have the great Madeleine L’Engle as a writing teacher? Katherine: Madeleine was the most extraordinary person I’ve ever known. Quite tall, regal, and magnificent in her long purple and blue dresses and exotic jewelry, she projected the same sense of wonder as her classic fantasy novel A Wrinkle in Time. She was more than a little like the three otherworldly presences Mrs. Who, Mrs. Whatsit and Mrs. Which. Her expansive vision included a belief in angels, whom she was sure appeared regularly to all of us. She emanated power, knowing, and love, and had a great talent for bringing out her students’ inherently good qualities. As a writing teacher she wasn’t what you would expect. Instead of talking about plot, character, or story structure, she preferred more abstract themes about the larger role of writing and art in our lives, such as the concept of story being truth. Invariably she advised, “Write for an hour. Don’t think. Attempts to direct only interfere with creative work.” Her belief about writing was that it’s an entry into the larger Cosmos. Publishing books is a happy by-product, she said. The shared journey is what matters. 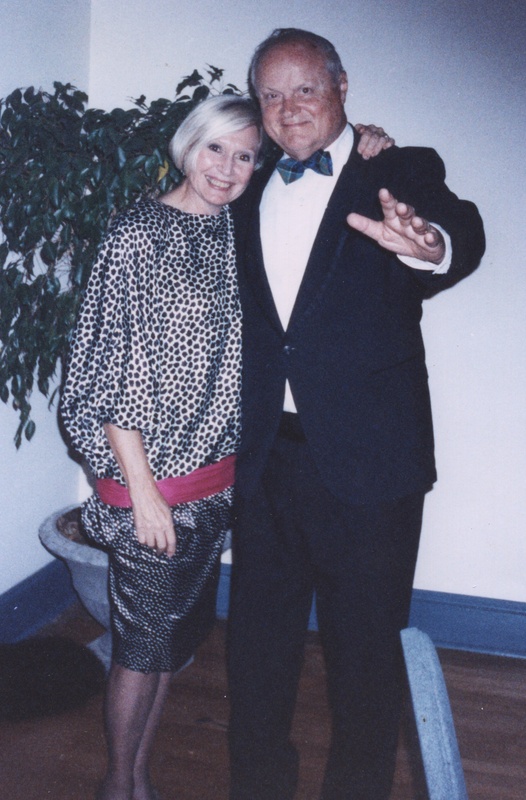 In the ten years I knew Madeleine, she taught me about the life of spirit and the value of community. I met most of my closest friends through her. To learn more about Madeleine as a teacher, see the book I edited, A Circle of Friends: Remembering Madeleine L’Engle ( http://www.katherinekirkpatrick.com/book_02.html ). Thanks for interviewing me, Susan! This interview was previously published in abbreviated form on the fabulous historical fiction blog “Corsets, Cutlasses, & Candlesticks” http://corsetsandcutlasses.wordpress.com/ on June 30, 2014. The price of one of my young adult novels, throw in a few bucks for tax, is about what you’d pay for a bottle of wine to take to your host for dinner. People used to stop by the autographing party at the local museum’s bookshop to purchase Katherine Kirkpatrick’s latest young adult historical tearjerker, and then continue up the road a half mile, past the duck pond, through lush woods, to Audrey and Dale Kirkpatrick’s home and a gourmet meal. Anyone from the Three Villages (Stony Brook, Setauket, Old Field) of Long Island, New York, might be there: the tennis players, the bridge players, the bank teller, my mother’s hairdresser, the neighbors, some of the teachers my siblings and I had had at school, and people my parents knew through the Presbyterian church, puppetry, charities, real estate, Dad’s travel agency, or his heart surgeries. Whether anyone read my books or not didn’t matter, not really, because I had the great satisfaction of selling a hundred hardcovers in an hour. Even better, the sense of celebration that filled the air was as palpable as the aroma of sautéed onions and mushrooms. The Kirkpatricks knew how to throw a party. Chicken cacciatore, anyone? Genoese seafood risotto? Champagne cocktail? In the octagonal living room decorated with carved screens from India, in pivoting chairs with colorful satin pillows, around a central coffee table and low-hanging lamp, the drinks and the conversations flowed. Signing copies of my first novel, Keeping the Good Light. This was how my parents celebrated the publication of my first three books in the mid-to-late 1990s, when I was in my early and mid thirties, before I married, moved coasts, and gave birth to twins. Four other books for older children and young adults, both fiction and nonfiction, followed. But three thousand miles away from family, friends, and my New York writers community, I found it difficult to attract more than a handful of people to my book events. For a while I stopped doing signings altogether. I stopped celebrating. It was as if my last two titles dropped into holes the minute they were published. There is nothing more depressing for an author than to sit at a table with a forced smile in front of a pyramid of books, facing a room full of vacant chairs. The feelings of loneliness and isolation of such situations can be intense. I’m happy to say I’ve found a middle path, a joyous way of celebrating new books that comes in second to my mother’s former parties. Our Western Washington chapter of the Society of Children’s Book Writers and Illustrators (SCBWI) hosts a fabulous twice-yearly event called “The Inside Story.” In this event, fifteen or so local book creators share “the story behind the story” in short presentations of their new and upcoming books to independent booksellers, fellow authors and illustrators, and their families. Many school and public librarians also attend. 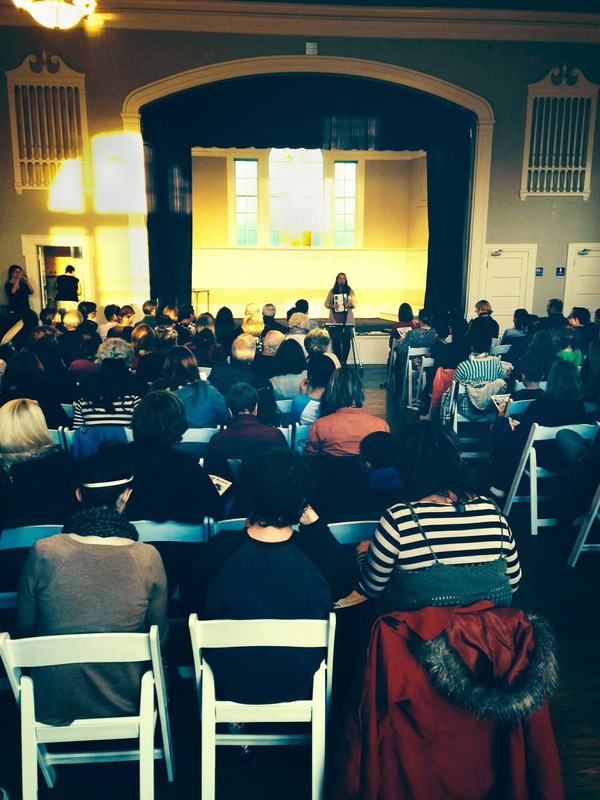 Our November 3, 2013, The Inside Story at Seattle’s Mockingbird Books drew several hundred people. In her introduction, Laura McGee Kvasnosky spoke of how The Inside Story has greatly expanded in scope and in popularity since she and fellow children’s book creator George Shannon launched the program on October 4, 1998. “I feel like the proud mother and George the proud father,” she said, “and I’ve enjoyed watching the event grow up.” I happened to be sitting near Laura in the crowd and, indeed, like a proud mother, she was smiling and smiling during the trivia prize awards and presentations. The Inside Story #31 at Mockingbird Books. I am so grateful to Laura and George for creating this wonderful community forum where we can give ourselves a boost. Book releases can be as stressful as they can be joyful, because of the expectations we set for ourselves and our publishing companies have for us. Knowing that I can bring my new young adult novel to the Inside Story when it comes out this spring transforms a responsibility into an honor, a burden into a celebration, a dread into a feeling of optimism. Also, by the way, there are small mountains of fruits and cookies served at our Inside Story events. Next time, at Mockingbird Books on May 6, I’ll also contribute goodies home-cooked according to recipes left to me by my greatest literary supporter of all time, Audrey Kirkpatrick. 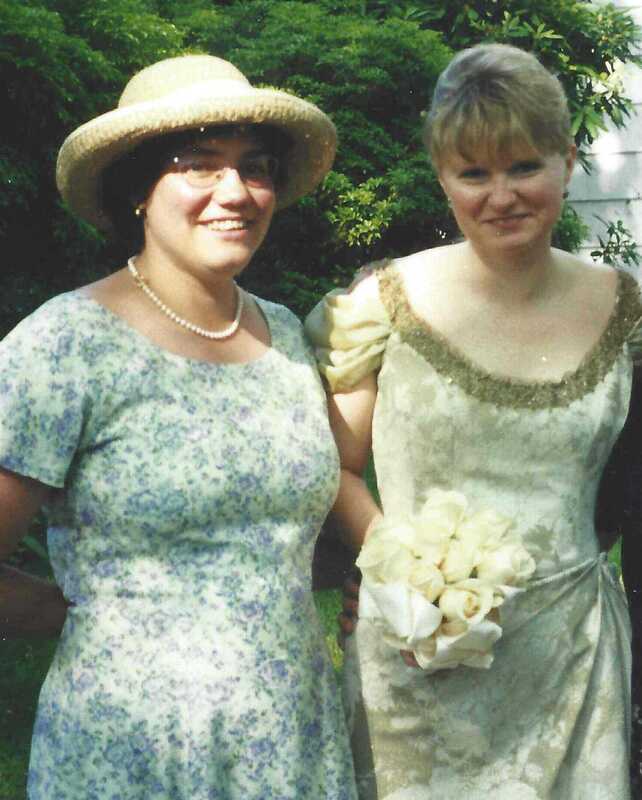 She who cut sun-dried tomatoes into strips for me, who shredded prosciutto and grated Parmesan cheese for me, who invited everyone she knew to her home for me, would have enjoyed our Inside Story festivities and approved. On Monday, January 27, 2014, I’ll be watching the webcast of the American Library Association’s Youth Media Award announcements, broadcast live from Philadelphia. Everyone in children’s and young adult publishing will be eagerly anticipating the results. In our field, the garnering of a Newbery, Caldecott, or Printz Award is equivalent to an athlete winning a gold medal in the Olympics. My annual February/March readathon, a time of discovering new books and engaging in stimulating discussion, begins after the announcements. Some years, I’ll read not only every Newbery and Printz winner and honor book, but I’ll also work my way through YALSA’s Best Fiction list. Other years, I’ll stop reading after only a few books; especially if a title of my own has come out. While reading an award-winning book that I don’t feel is worthy, I snap it closed and return all the others to the library unread—shelving the feelings of frustration that their gold and silver seals invoke. I know better than to view the ALA awards as the be-all and end-all of my writing life. Nevertheless, I get caught up in the annual fervor. The truth is there are thousands of us authors out there, and there are thousands more of our books published every year than there are ALA awards and citations to go around. No matter how good a book may be, chances are excellent that it will go unnoticed among the vast sea of other titles. In my clearer moments I realize that notions of awards and their perceived value are dark, swirling storm clouds in our minds: If we can guide the plane above such foggy distractions, the view will be beautiful, bright, and expansive. For we can all enjoy a true and lasting sense of abundance on a higher level when we give up our limited definitions of success. The image of the airplane is an apt one to illustrate the story I’m about to tell. Last year, on Monday, January 28, 2013, I was in the audience at the ALA Media Awards press conference in Seattle when I heard that my dear friend of 27 years, Elizabeth Wein, won a Printz Honor for her aviation-themed book Code Name Verity. I’d surmised from the buzz at the ALA Midwinter Meeting that Code Name Verity was a contender for the Printz. My friend, half a world away in Scotland, suspected it, too. Her enormously popular breakout novel had already garnered a ton of starred reviews and media attention. But of course, ALA award announcements often defy expectations, and frequent surprises add to the drama of this high-stakes event. I wanted Elizabeth to win the Printz, really and truly. But at the same time, as I took my seat that morning in the mobbed auditorium of the Seattle Convention Center, I wasn’t completely sure what my reaction would be if she did. 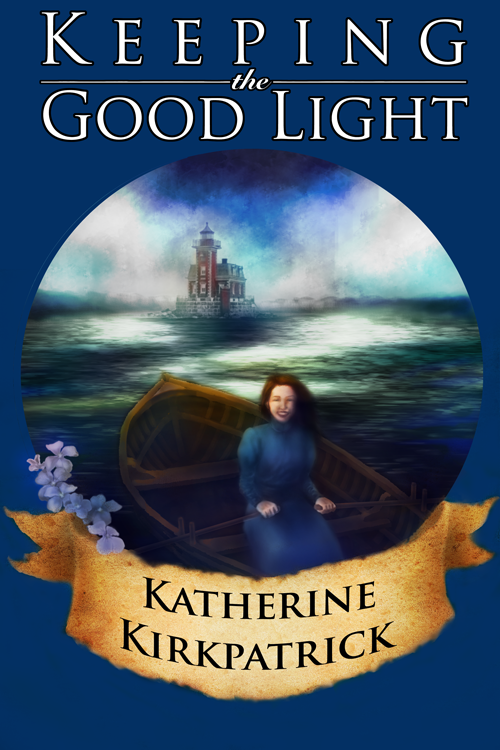 I gave myself a little talk: If Elizabeth wins this award, and if you, Katherine Kirkpatrick, are not one hundred percent happy for her, then you are a miserable, selfish, covetous wretch and you don’t deserve to win any awards in the future. For those of you who watch the live webcasts of the ALA press conference, let me tell you, there’s nothing like attending the event in person. You notice the MC’s bright red socks. And hear how incredibly loud the audience applauded. And feel the heat of the bright lights and movie cameras. Experience the palpable excitement in the air. The MC encouraged us to cheer as he read the names of the Printz judges, and I shouted heartily along with everyone else. I had no idea who they were; it didn’t matter. It was fun to get caught up in the energy of the crowd. 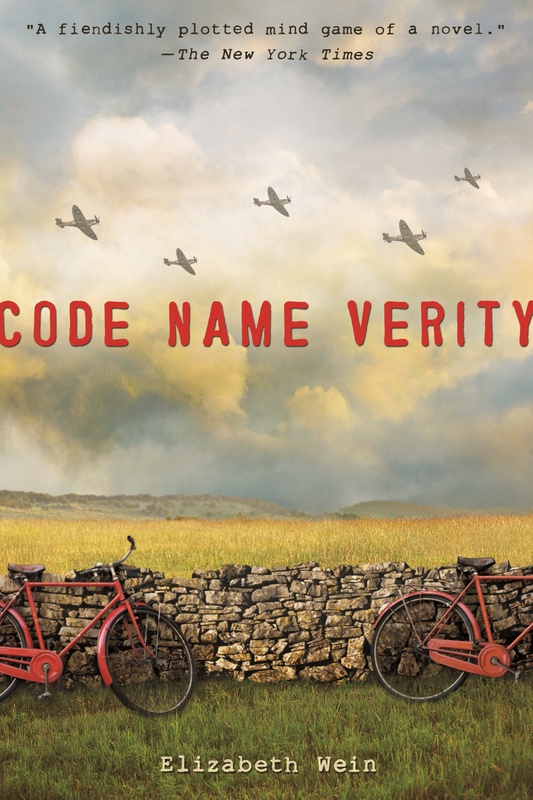 When I heard the words “Code Name Verity” in the honor category, my heart stopped. Honor? Why not winner?! Not that I’d yet read the winning title or any of the other honor books. But at that moment I felt childishly defensive of Code Name Verity, while also knowing that attaining a Printz Honor is almost equally as awesome, weighty, and life-changing as receiving the grand prize. It wasn’t until about an hour after the press conference that the good news really sank in. I remember standing by myself at the top of the convention center’s escalator under a sky-high ceiling, surrounded by towering walls of glass. A feeling of expansive joy came over me. 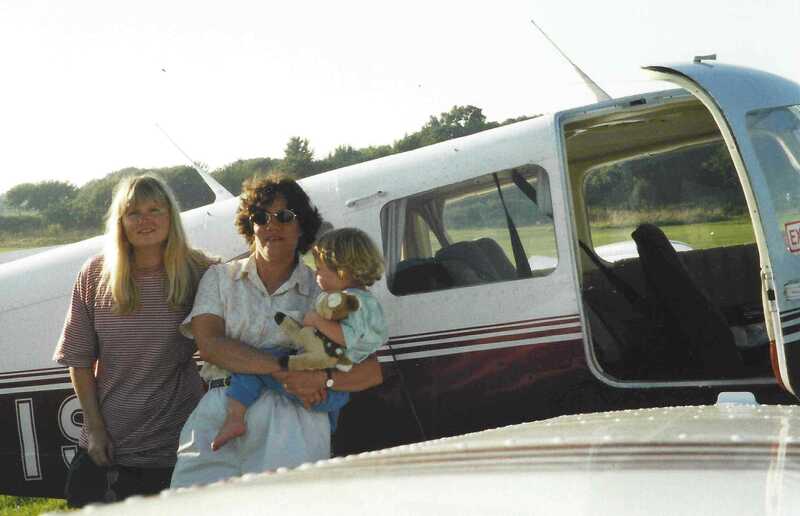 I was, and am, so proud of Elizabeth and happy for her, for getting her pilot’s license, for writing her fabulous breakout novel, for receiving the fame and recognition she deserves. I felt happy about myself, too, for being a good friend and for feeling a generosity of spirit. As I was telling a complete stranger at the coat check, your character is tested when someone you’re close to gets something you’ve always wanted. Friendship, all forms of love and true caring, exist outside of man-made rankings and hierarchies. I feel this truth profoundly when I think about Elizabeth and the good times we’ve had together, before and after college graduation, dreaming of becoming authors, having books published, getting married, having children. We traversed the map of Britain together, and even flew in a private plane to the Isle of Wight. I wouldn’t trade this friendship for the Printz Award. Part 1: High school student and young artist Victoria Yeh interviewed me for a school project. Victoria: Why did you choose to be a writer? Katherine: I always wanted to be a writer from the time I was in sixth grade. Victoria: What personal attributes are necessary for success? Katherine: To be a successful writer, you need to have a “thick skin,” which means that you can’t take criticism too personally, and you need focus, persistence, and the ability to work hard. Victoria: What kinds of skills are essential to succeed in your field? Katherine: Successful writers not only know their craft but also have a marketing sense about what the public wants. Victoria: How plentiful are the job opportunities in your field? Katherine: In my case, I’m freelance (I work for myself), so there are unlimited job opportunities if I’m able to find and take advantage of them. Sometimes it’s difficult to sell articles and book ideas but good writers are always in demand. Victoria: What are the approximate starting and maximum wages? Katherine: Fiction authors receive advances anywhere from $10,000 per book to $100,000 or even higher. How much you earn depends on the type of market there is for any given book. Victoria: What are the fringe benefits (dental, retirement, medical)? Katherine: The fringe benefits are traveling, learning new things, meeting lots of different kinds of people, and often making new friends. As far as dental, health, retirement, and those kinds of benefits, none! Victoria: What are the hours like? Can you determine them yourself? Katherine: I generally work three to four hours a day, in the mornings. Yes, my hours are entirely flexible. Victoria: What kind of education is necessary for a job in your field? Katherine: A college degree is very helpful. A graduate degree isn’t necessary, but helpful if you want to teach writing; many writers also teach. I advocate a broad education, studying a wide variety of different subjects. Volunteering for high school, college, and community-based publications is a great way for students to receive writing practice and exposure. Victoria: What did you major in during college? Katherine: I majored in English Literature with a minor in Art History. Victoria: Were you focused completely on studying, or did it ever help you to play sports or be involved in extracurricular activities? Katherine: I didn’t play on any sports teams in college, but I did swim on a regular basis and enjoyed other extracurricular activities such as drawing, painting, and music. Right now I’m learning to play the harp. It’s always good to try new things outside of your field of study or career. It’s hard to quantify exactly how these activities affect your career, but they do. Music, for example, is very enriching. Do what makes you happy! When you know how to relax into these other activities then you can sometimes carry that stillness into your daily life. Victoria: Do you ever regret choosing this career? If you could change your career, what career would you choose? Katherine: I do not regret my career choice. In a way, my career chose me, as I’ve always been a writer. I also considered archaeology as a profession. Fortunately, I can write about archaeology, so I can satisfy this other interest. Victoria: What are the best and worst aspects of your career? Katherine: The best parts about being a writer are learning new things, traveling, meeting people, and seeing the books finally go into print. The worst aspect of the job is waiting for months for responses from editors. Sometimes it’s several years before a book goes into print, and always there are delays. So I tend to work on several book projects at the same time. Victoria: What advice or wisdom would you give a high school student about his or her career choice? Katherine: Follow your passion. Aim high. Know that you can accomplish large tasks by breaking the tasks down into smaller tasks and tackling them one by one. Try to smile and be cheerful and get along with people. Establish trust by assuming the best from people. Try not to choose sides in any disagreement. If people around you are having disagreements, try to look at the underlying causes. Generally when people are angry there is a feeling of someone not being respected. Do not judge. Instead, try to understand the context of people’s lives and why they act the way they do. Turn negative energy into positive energy; choose not to be offended, as everyone you will meet in life is carrying some burden. Talk less and listen more. Feel in your heart what the person’s words are saying. Speak personally from the heart. Don’t offer advice; do not argue or criticize; do not interrupt. Be a professional, and you can start right now by assuming a “professional attitude” by respecting yourself and others, presenting yourself in an appropriate and balanced way, not indulging in outbursts or moods, and refraining from giving mixed signals. Being a professional also means pulling yourself together and dressing appropriately for the job at hand. Always write a thank-you note to someone who helps you; a handwritten note is better than an e-mail note in many cases. Try to be flexible and open to outcomes. Try to be upbeat. Be kind. Remember, energy flows from intention. Envision yourself being happy and successful in your chosen career. Let go of the idea that success is about striving and effort. Have fun, try to relax and enjoy yourself, and what you do won’t seem like work—in a sense you can “do nothing” and achieve everything. 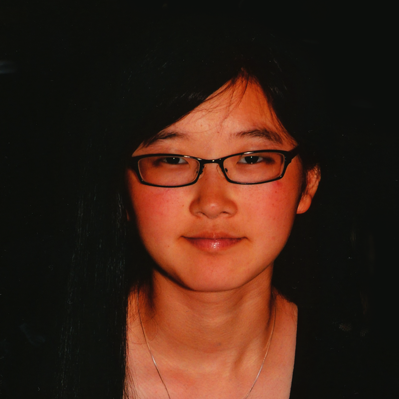 Part 2: In my first post, Victoria Yeh, a high school student interviewed me. Later, after I’d commissioned her to create a cover for the Kindle version of my novel Trouble’s Daughter, I interviewed her in return. Katherine: How old are you now, and how long have you been drawing and painting? Victoria: I am currently fifteen, and have been drawing since I was four. I started painting at around nine or ten. Katherine: When did you decide you wanted to be an artist? Victoria: Ever since I started drawing I wanted to be an artist when I grew up, but I only recently started to seriously consider exactly what kind of career in art I want. Katherine: Are you currently taking art lessons? If so, how long have you been studying? Victoria: Yes, I am currently taking art lessons, and have been taking them since I was six. Katherine: What is your favorite medium? Victoria: Currently, my favorite medium is oil paint. Katherine: What medium did you choose for the Trouble’s Daughter cover? Victoria: I sketched the cover of Trouble’s Daughter on an 11-inch x 14-inch paper and inked the drawing with black pen first. Then I scanned it into my computer and colored it digitally using Photoshop. Katherine: Tell us about that cover. How did you decide on the subject matter? Did any of the details on the cover come from details in the book? 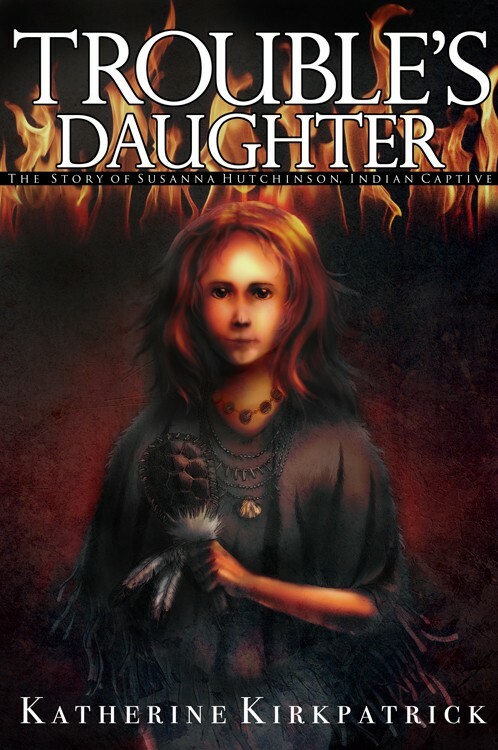 Victoria: Trouble’s Daughter is about Susanna Hutchinson’s captivity. I believed that I should focus on her emotions over the course of the story, so the initial sketches portrayed her fear right before she was captured and her determination and fortitude through her captive years. Susanna wasn’t unhappy, and even grew to love her Native American family, so I didn’t want to make her look listless or depressed in the illustration. A small detail in the book described Susanna to have small clefts in her nose and chin, which is slightly noticeable in the cover illustration. The clothing Susanna is wearing is an outfit from a scene in the book, and the turtle shell rattle she is holding has some significance in the story. Katherine: Tell us about your process for making the cover. Did you start out by making rough sketches? How many? Victoria: I made two rough sketches with different compositions first to show you. After hearing your input I surveyed a few of my classmates and chose the sketch with more votes. Katherine: Did you learn anything when you were creating the cover for Trouble’s Daughter? Victoria: Artwise, I learned about lighting, color choice, and how to vary values as much as possible, because Kindle only displays black and white, which makes distinctions between colors obsolete. The illustration needed to look good in both color and black and white. I also learned about how to manage time between schoolwork and drawing the cover. Katherine: What are your plans for the future? Victoria: I hope to attend Rhode Island School of Design, which is known for being the best art school in the country. I visited the school during April 2012. I will probably major in either Illustration or Animation. Katherine: What is your advice to other young artists? Victoria: Practice all the time and learn the basics before trying to create your own style.